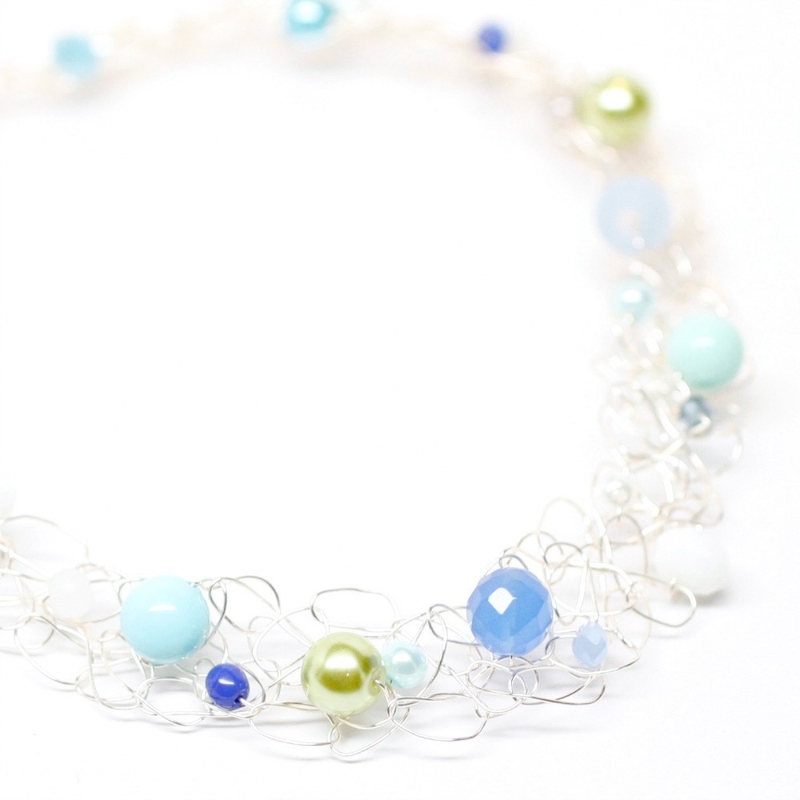 Gorgeous silver tangled wire knit collar Silver Necklace Colorful Summer Beaded Wire Knit Choker Collar Exquisite Bright Jewelry pearls & crystals aqua blue lime green Unique metallic statement jewelry Hand knit necklace featuring freshwater pearls and crystals on silver plated wire Hand knit wearable art by lapisbeach on Etsy. 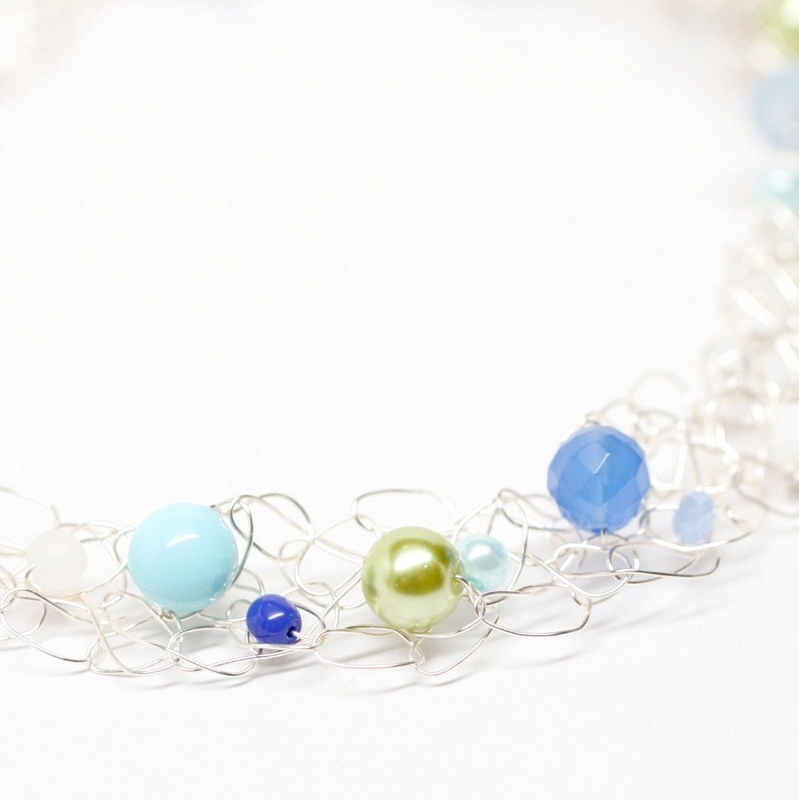 Freshwater pearls, stones and crystals in beautiful shades of Summer. Bright blue, lime, aqua, turquoise are scattered throughout; along with czech crystal ab crystals. 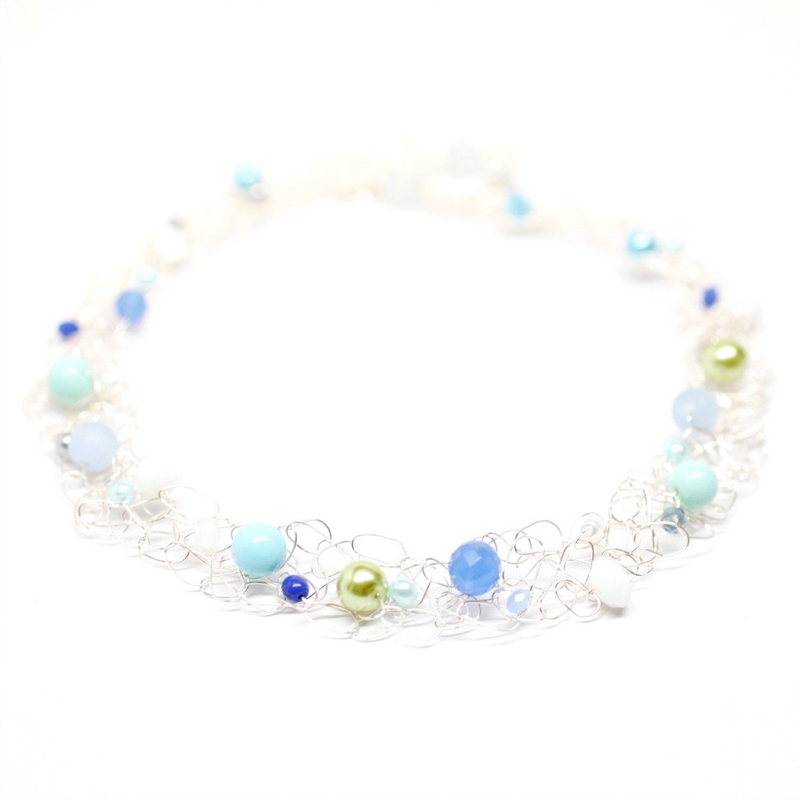 Beautiful wearable art for a night out or casual chic in blue jeans. 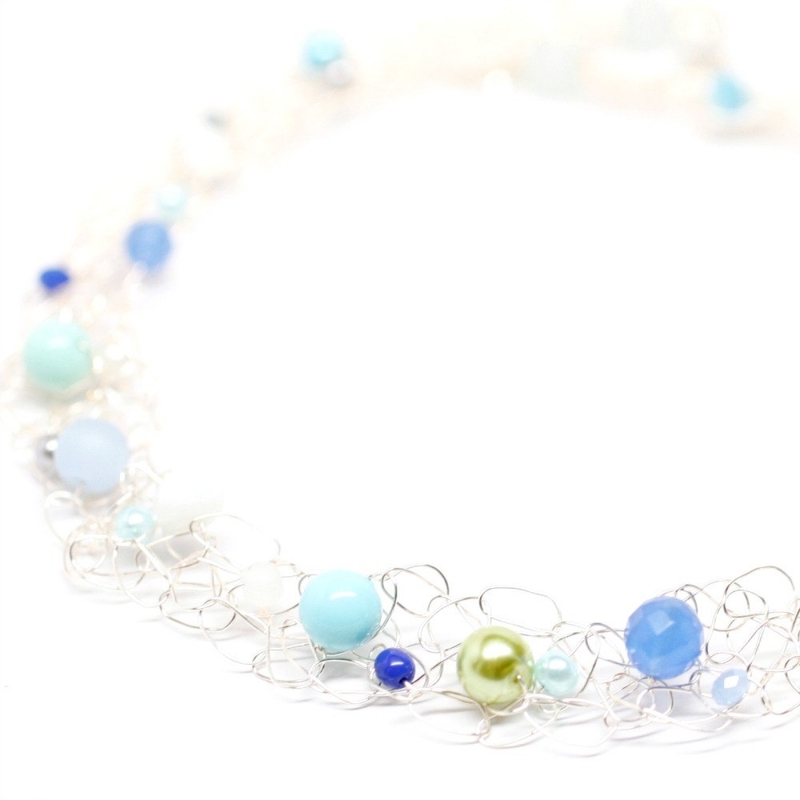 This necklace is truly stunning on the neck and coordinate with so many summer pieces! I am sure you will love it even more in person and get compliments every time you wear it!